It's said that there's no such thing as a free lunch, and for new Tesla owners, there will no longer be free supercharging. In this case, "supercharging" refers to Tesla's fast-acting battery chargers, not to a device that produces more output from the engine. 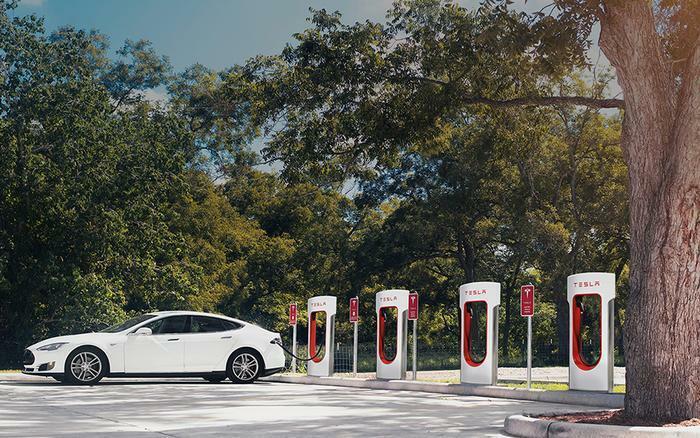 Tesla has been providing free access to its fast-charging stations, which are located at strategic locations in high-traffic areas. That has meant that consumers who shelled out $70,000 or more for a Tesla could at least get what amounts to free fuel. But as it prepares for the launch of its lower-priced Model 3, expected to cost about $35,000, Tesla is preparing to cut off unlimited free supercharging for new customers. It will, in other words, charge for charging. After Jan. 1, buyers of new Teslas will have to pay for charge-ups after they use 400 kilowatt hours of charging annually, enough for about 1,000 miles of driving. Beyond that, there will be what Teslain, a blog post, called a "small fee" that it said will "cost less than the price of filling up a comparable gas car." Tesla said prices may vary regionally but pledged that its charging network "will never be a profit center." Other manufacturers of electric cars have left consumers to find their own charging stations, including chargers in their homes, public stations, and whatever else is available. The Chevrolet Volt and some other electric cars come with a charger that can be plugged into a standard outlet, but it can take many hours to get a full charge from a 110-volt outlet.